This Velveeta Fudge Recipe is fun and unique. 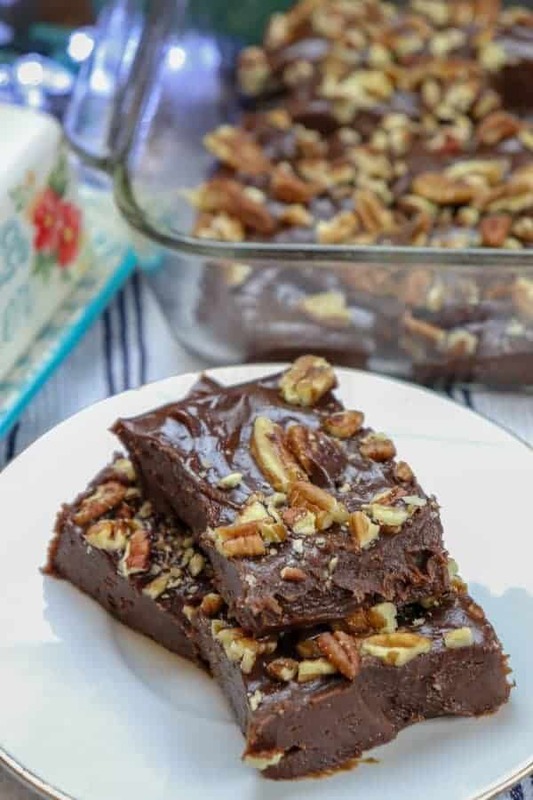 The combination of the flavorful creamy cheese and chocolate go hand-in-hand in this fudge recipe. The saltiness of the Velveeta cheese along with the sweet flavor of chocolate create a mouthwatering combination that can’t be beaten. I already know what you’re thinking. Velveeta cheese and fudge? No way. Can’t do it. Won’t do it. It’s a strange combination. But, you know what? 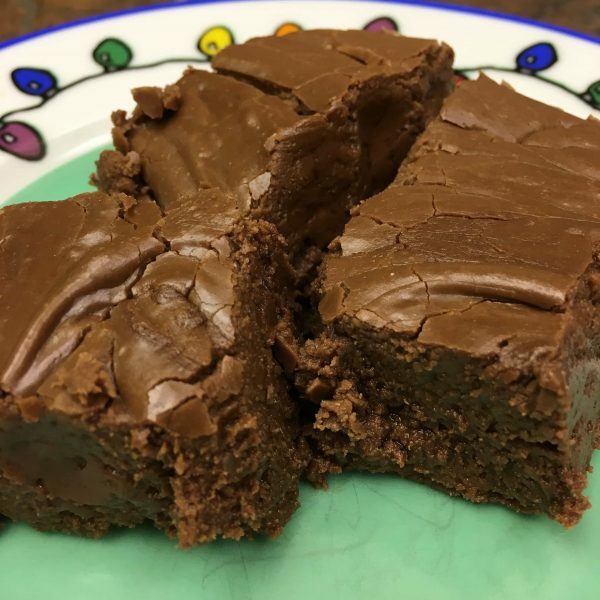 It’s a great combination, moreover, the Velveeta cheese makes the fudge creamy and soft, and the marriage of saltiness and sugar makes you want more. It’s a surprisingly great treat. I love a lot of the Velveeta recipes out there, and this is by far, one of my favorites now. 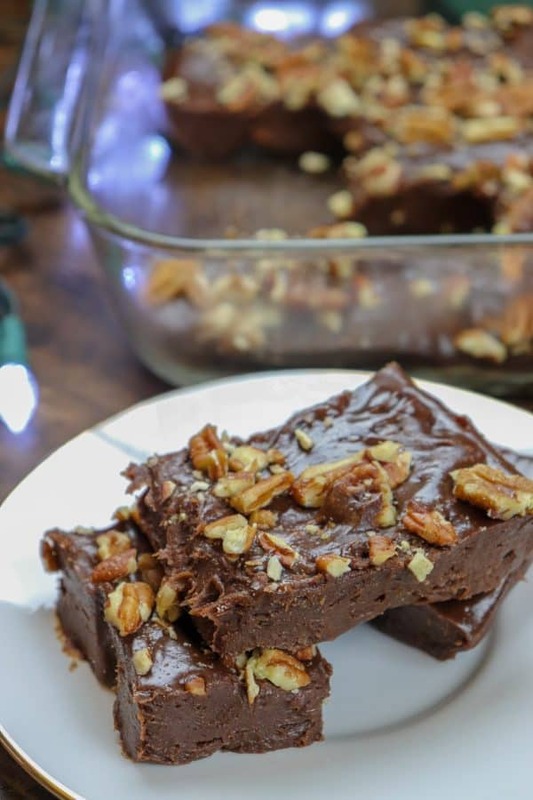 The first time I heard about the fudge recipe I was pretty skeptical, but intrigued. After I posted my peanut butter fudge recipe on Facebook, I got several comments about Velveeta fudge. So, I thought it would be a fun idea to make and try. 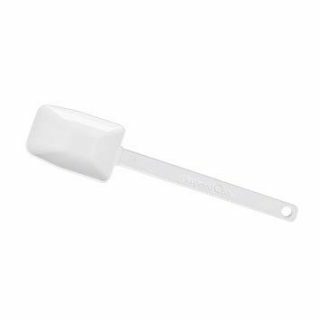 I called up a friend who I’d recently had a conversation with about adding the creamy cheese to my fudge. She had a recipe, sent it over, and I got to work. I think you’ll find it’s pretty darn good. And the kicker? It’s easy. Super easy. How do you make Velveeta Fudge? Sift the powdered sugar and unsweetened cocoa together. Set aside. 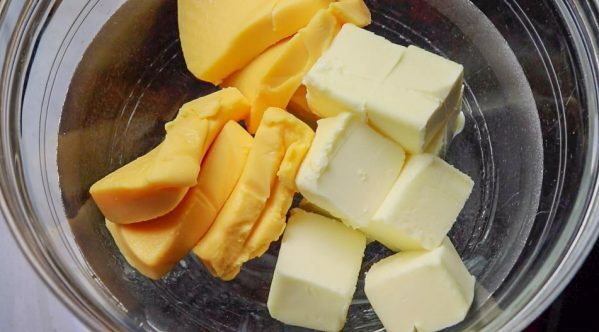 Melt the butter and Velveeta cheese in a double boiler. Pour over the powdered sugar and cocoa mixture. 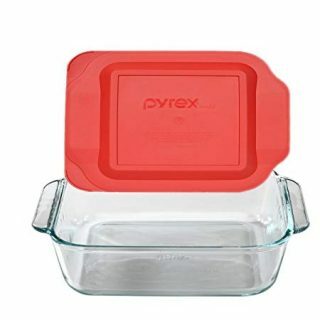 Mix everything together and pour into an 8″ x 8″ dish. Optional: Sprinkle pecans over the top. Cool the fudge for several hours and serve. 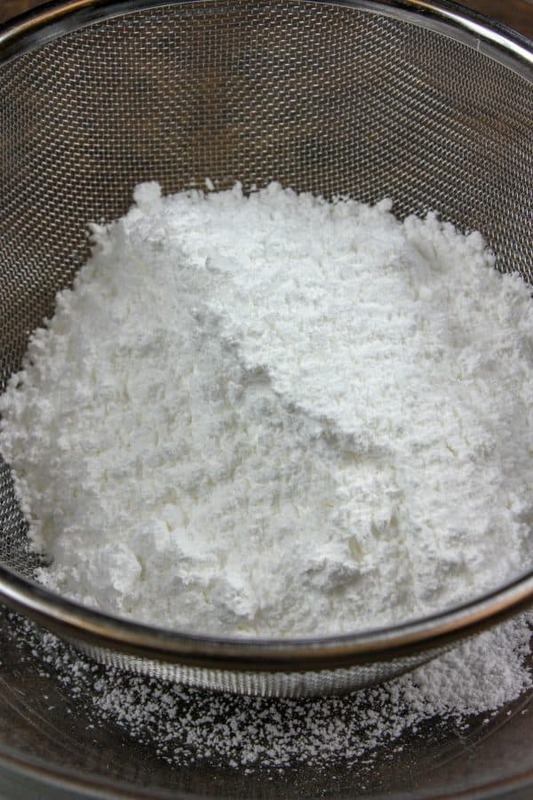 First, add powdered sugar to a sifter. 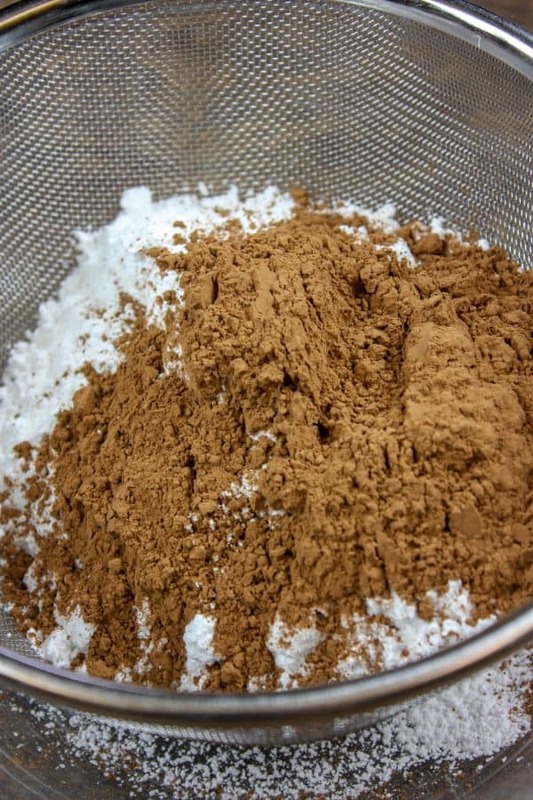 You’ll need to sift the powdered sugar and unsweetened cocoa together. 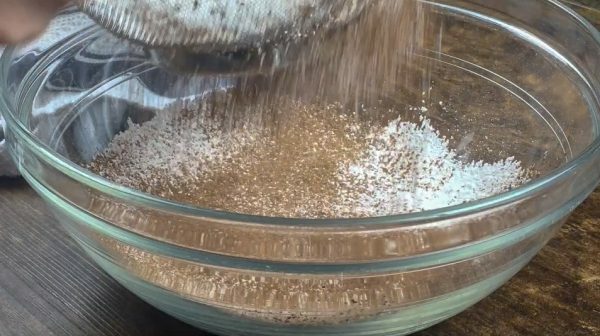 I use a large sifter and set it inside of a large bowl. Next, add the unsweetened cocoa to the sifter. Start sifting the two ingredients together. Sifting the two ingredients will help mix them together much better than just stirring. Once you’re done sifting, set aside. Add the butter and Velveeta cheese to a double boiler and melt. If you don’t have a double boiler, never fear. 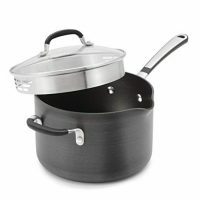 I don’t have a double boiler, so I took one of my mixing bowls and placed it over my saucepan; however, not all bowls will work for this. I know that my bowls are tempered and can handle the boiling water underneath. So, be sure that your bowls can take the heat if you’re planning to go that route. I filled up the saucepan halfway with water and brought it to a boil, then I placed the bowl on top, filled it with cheese and butter, and melted everything. Melt the cheese and butter. It took about ten minutes for the cheese to melt. 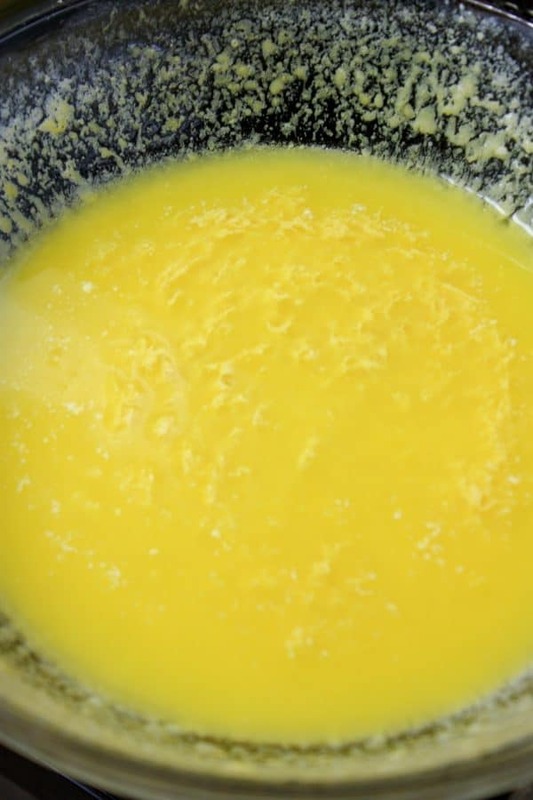 Pour the melted Velveeta cheese and butter into the dried ingredients. Add the vanilla and mix everything together. 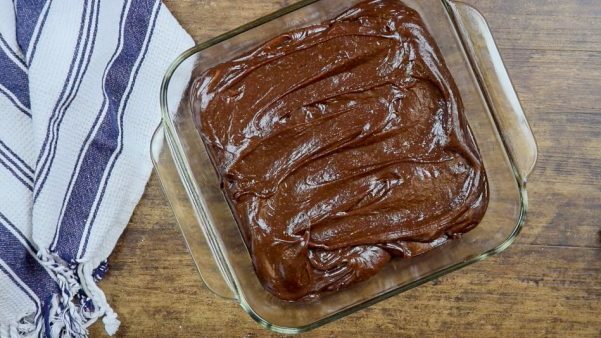 Spread the fudge into an 8″ x 8″ dish. You can add pecans or walnuts if you’d like, or just leave it plain. Let the fudge set up in the fridge for about three hours before serving. It will be hard to keep your hands off of it, though. It’s so creamy, chocolatey, and delicious. This Velveeta Fudge Recipe is fun and unique. 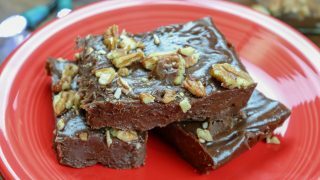 The combination of the flavorful creamy cheese and chocolate go hand-in-hand in this fudge recipe. The saltiness of the Velveeta cheese along with the sweet flavor of chocolate create a mouthwatering combination that can't be beaten. 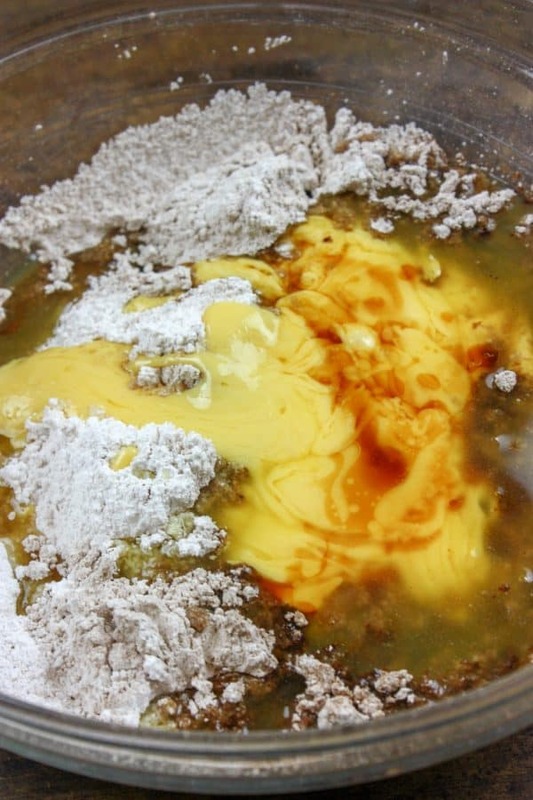 Pour the melted ingredients into the dry ingredients. Add the vanilla and stir everything together. Pour into an 8" x 8" greased dish and spread out. Optional: sprinkle pecans or walnuts on top.